Nope! It may be Spring, but they look great. 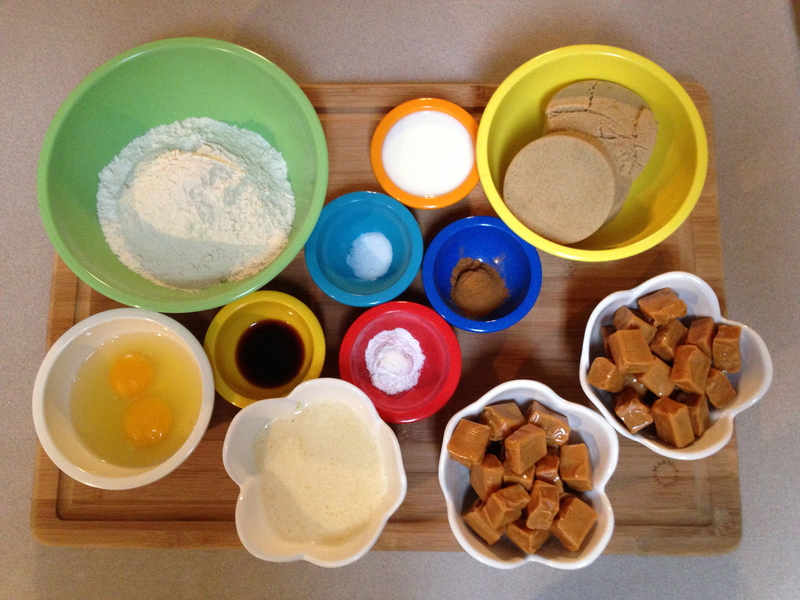 Step 1: Gather ingredients: Flour, eggs, vanilla, salt, baking powder, cinnamon, milk, brown sugar, caramels, melted butter. What’s wrong with this picture? You’re right! It’s the caramels. You know this is a McCormick-sponsored recipe when you see those. Martha would have told me to make my own damn caramel. 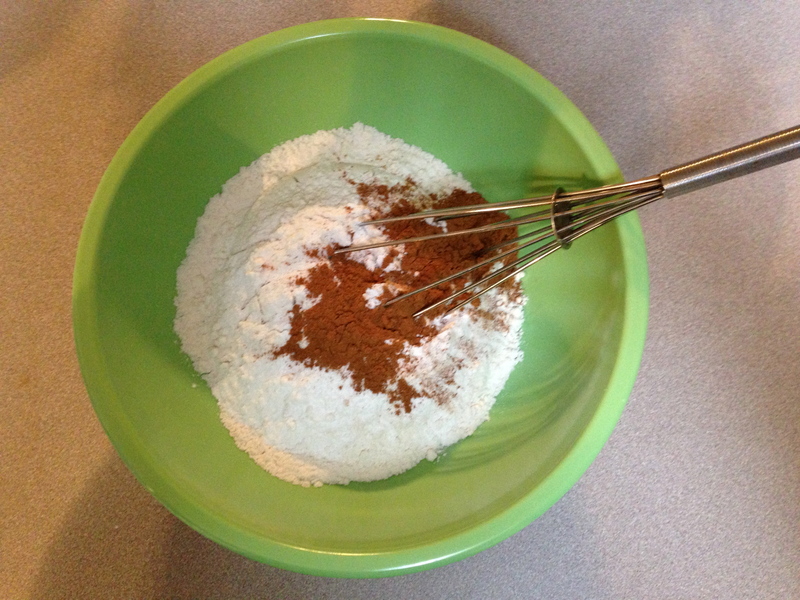 Step 2: Whisk together flour, baking powder, salt, and cinnamon. 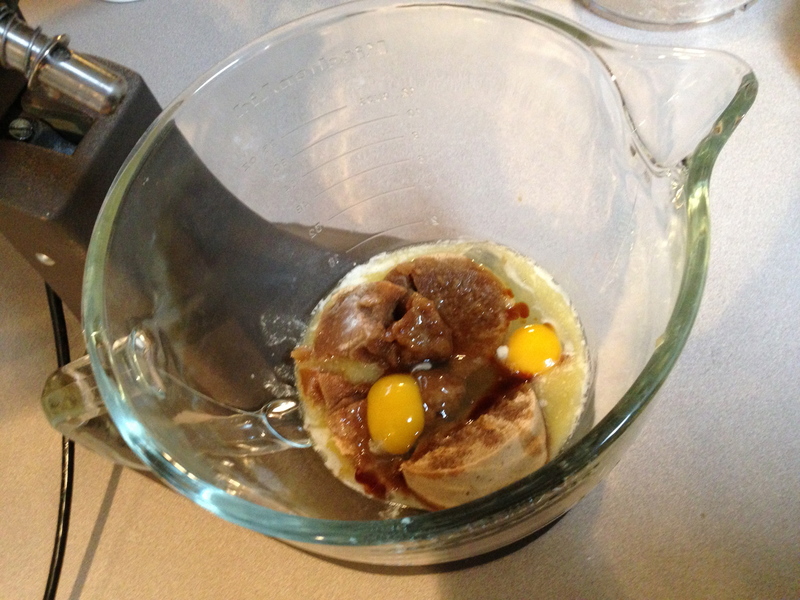 Step 3: Mix together brown sugar, eggs, butter, and vanilla. This would also be the time you’d add the pecans if you didn’t hate them. 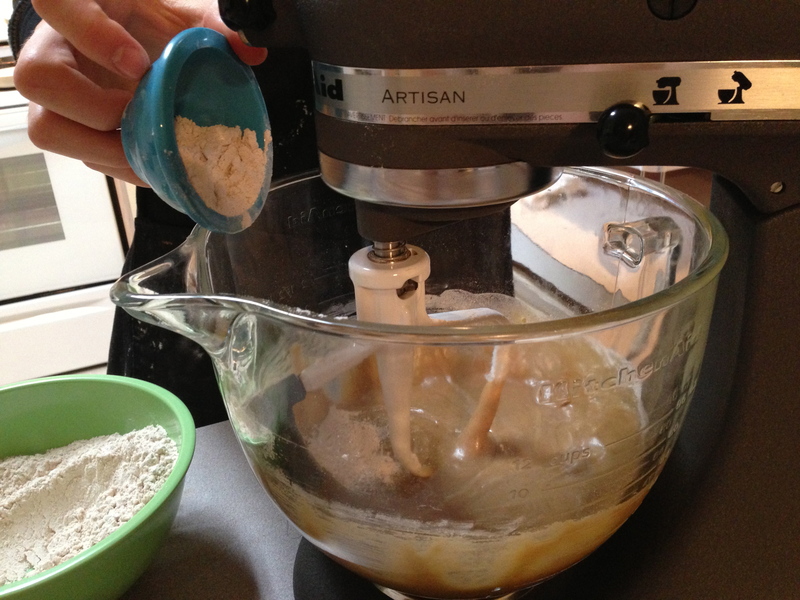 Step 4: Add flour mixture. You’ll notice some pics from another point of view. I had an assistant. She unwrapped all the caramels because I forced her to out of the goodness of her heart. 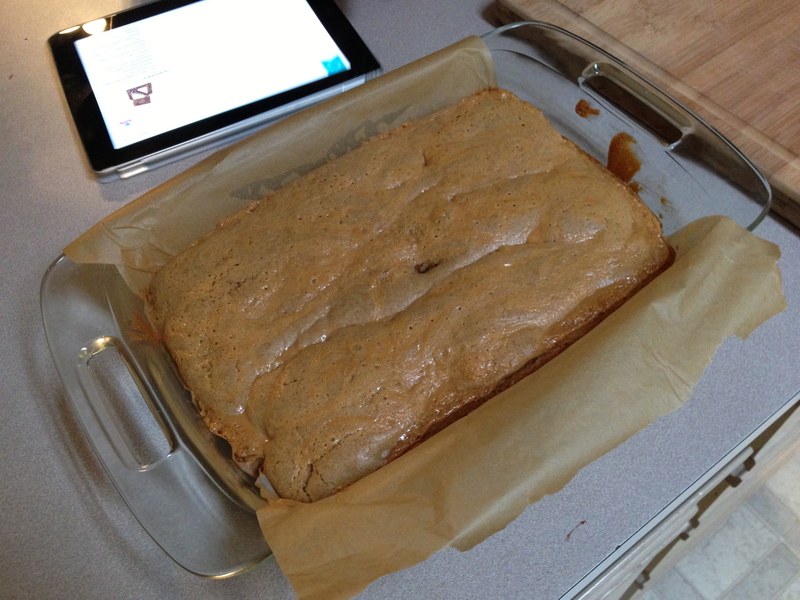 Step 5: Reserve 1 cup of batter, spread remaining in a parchment-lined 9×13 pan. Bake. 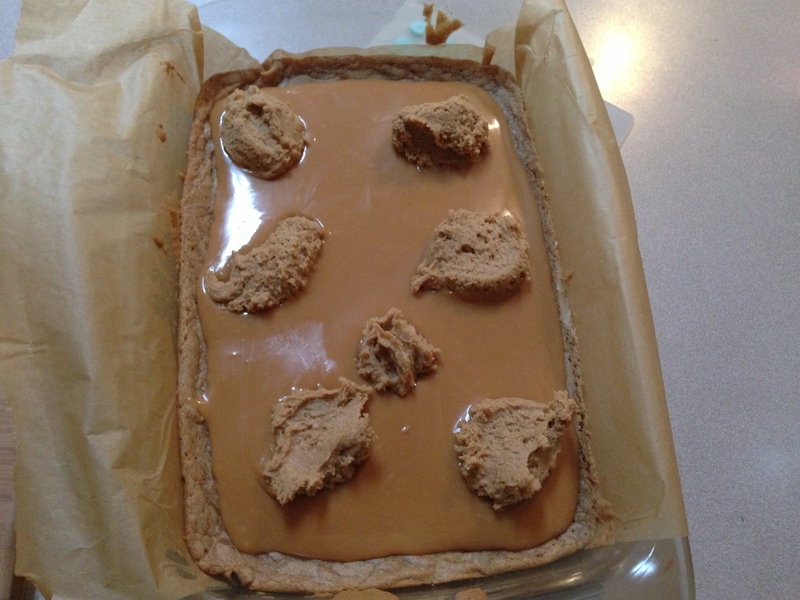 Step 6: Microwave caramel and milk until completely melted. 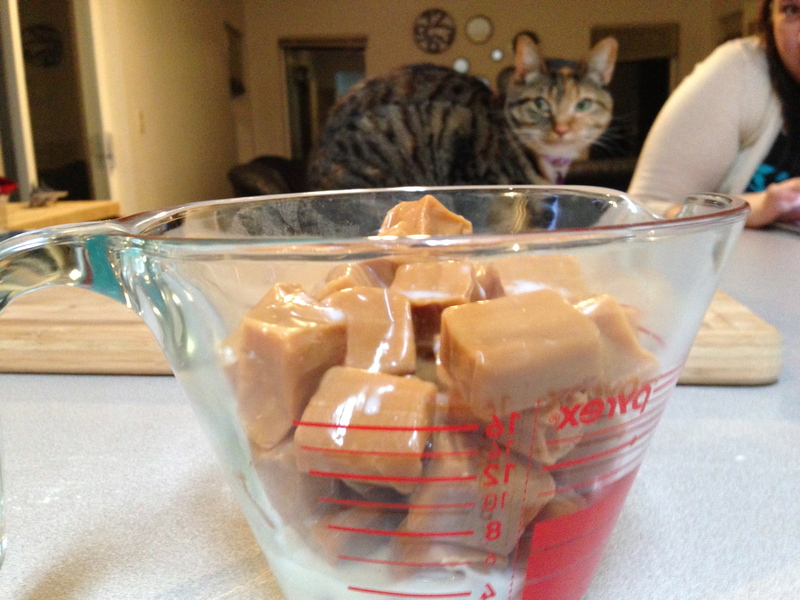 Willow says, “Microwaving caramels? Is this recipe for kids?” She is not impressed. If you could hear the sounds this makes while stirring. It’s…delightful. 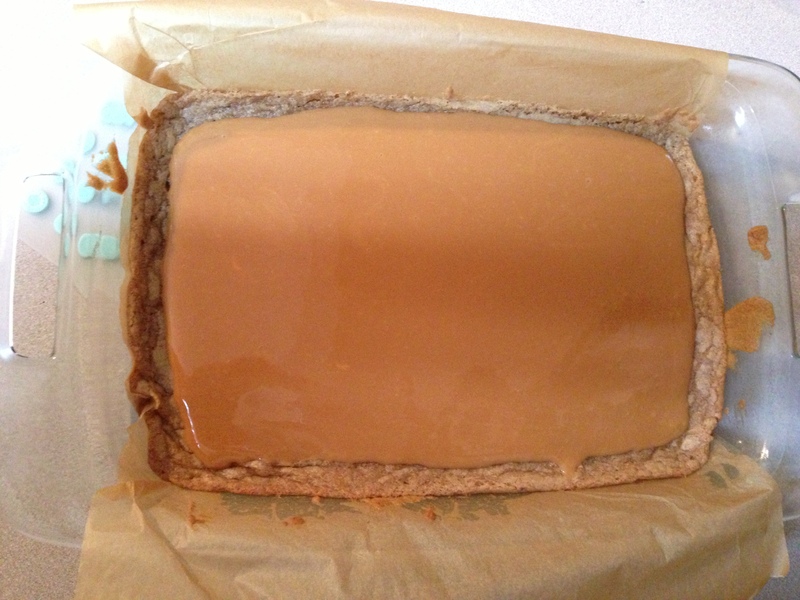 Step 7: Pour melted caramel over baked layer in pan. It’s a diabetic swimming pool! 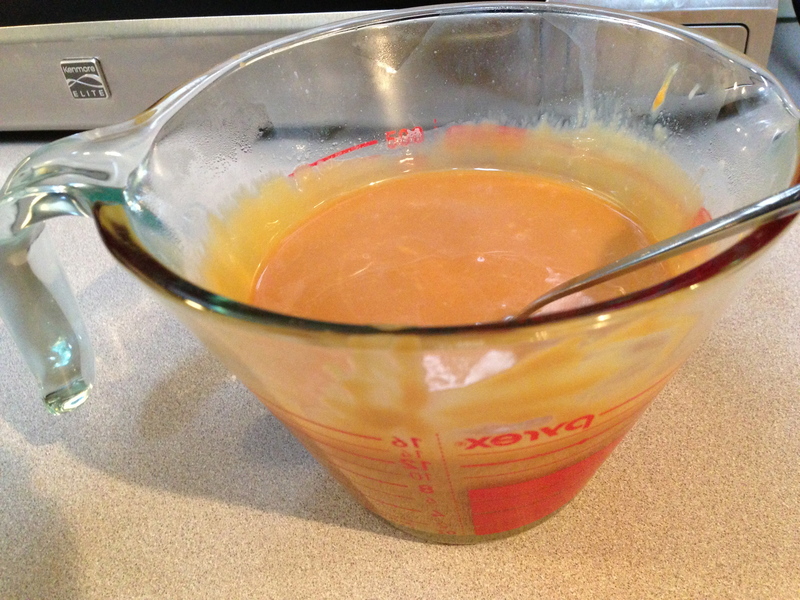 Step 8: Drop remaining 1 cup batter by spoonfuls over caramel. 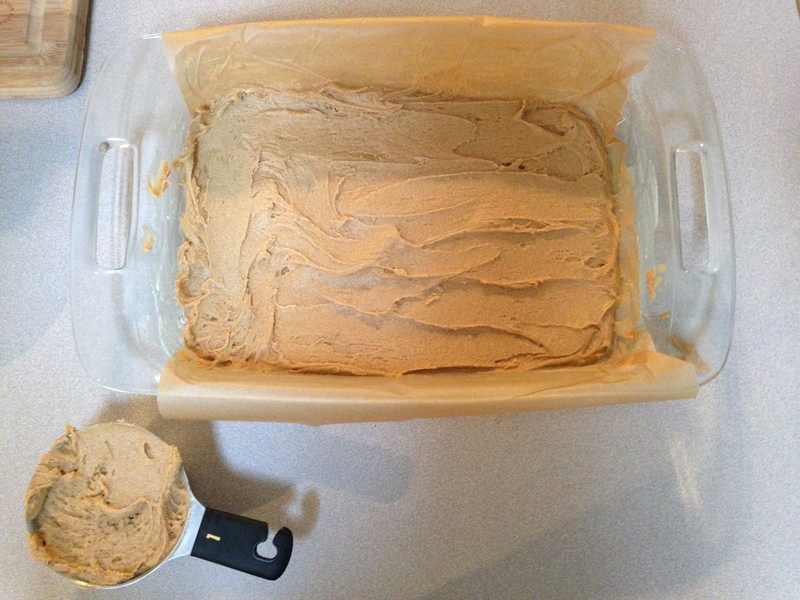 Step 9: Cut through batter several times for marble effect. This was hard and didn’t look like the picture. 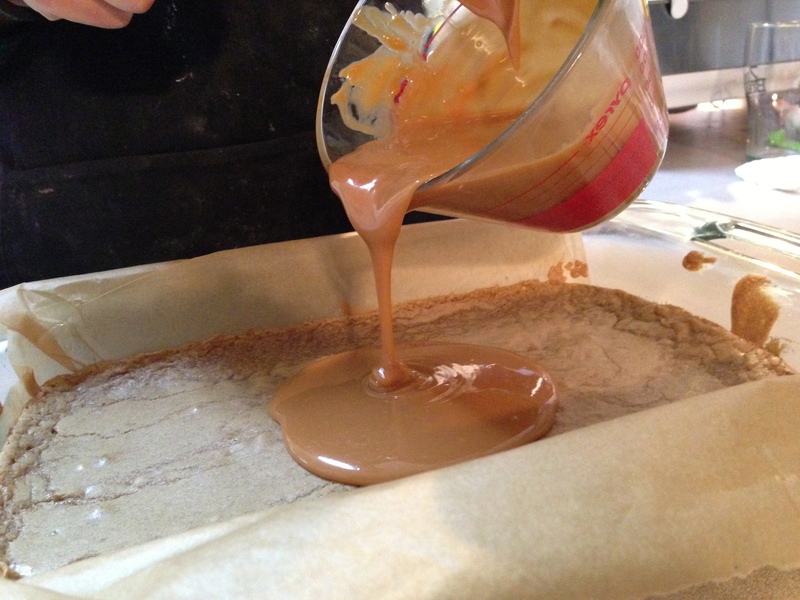 All the batter was sinking in the caramel pool. Step 10: Bake 15-20 minutes longer, until set. Oh no, I ruined it. It looks terrible. Step 11: Cool in pan on wire rack. It stayed warm, so I let it cool overnight. It looks much better now! 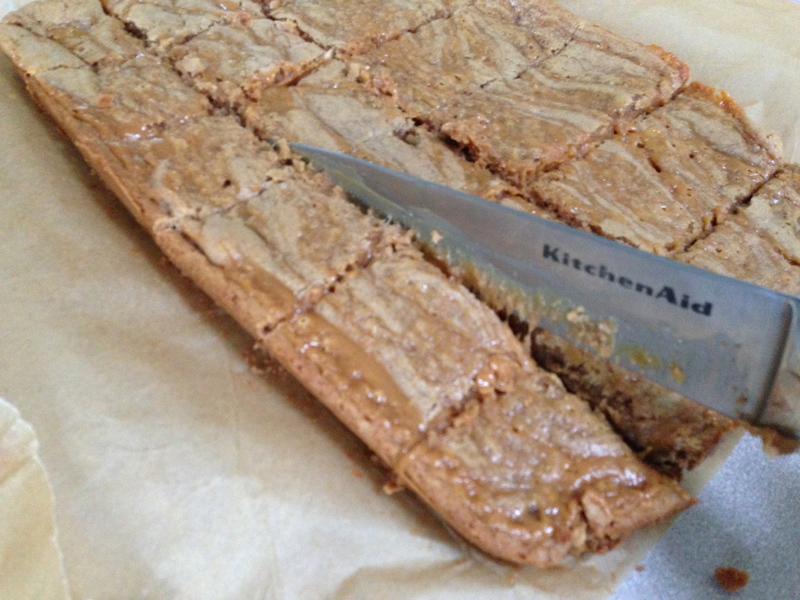 Step 12: Cut into 24 bars. 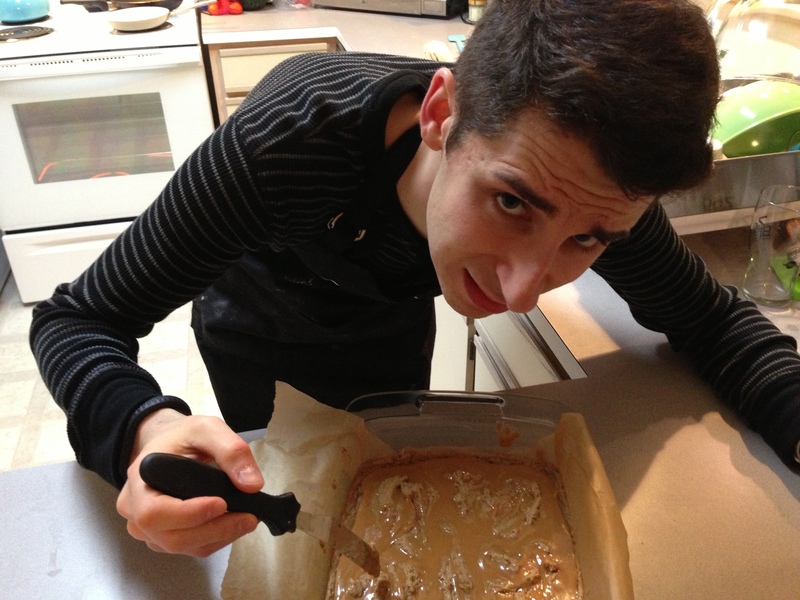 That knife got stuck in the caramel several times. I think falling into a pool of caramel would be worse than quicksand. 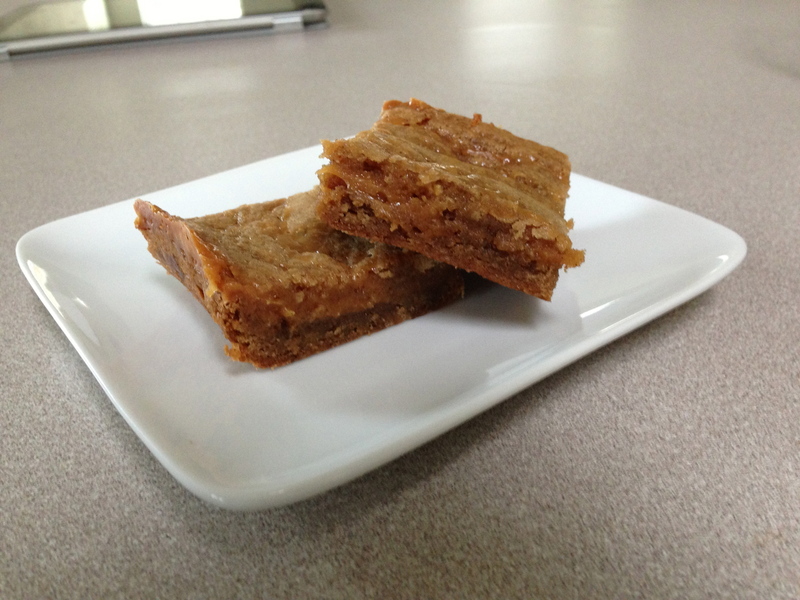 Melting store-bought caramels is cheating, but was convenient. Let it cool before judging. 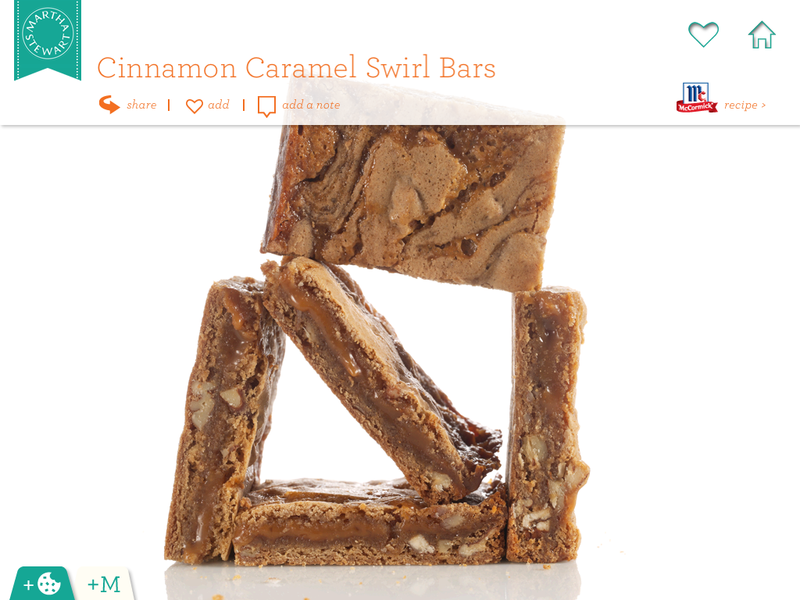 Why are there so many recipes with pecans and walnuts? Do people really like those? These were very good and very popular. I’ll probably make them again during the holidays. Hey, you! Have you subscribed to my blog yet? What about followed me on Twitter? Don’t miss any updates or your life will surely suffer. Thanks for sharing these, Nate. They were so good! I too hate walnuts! 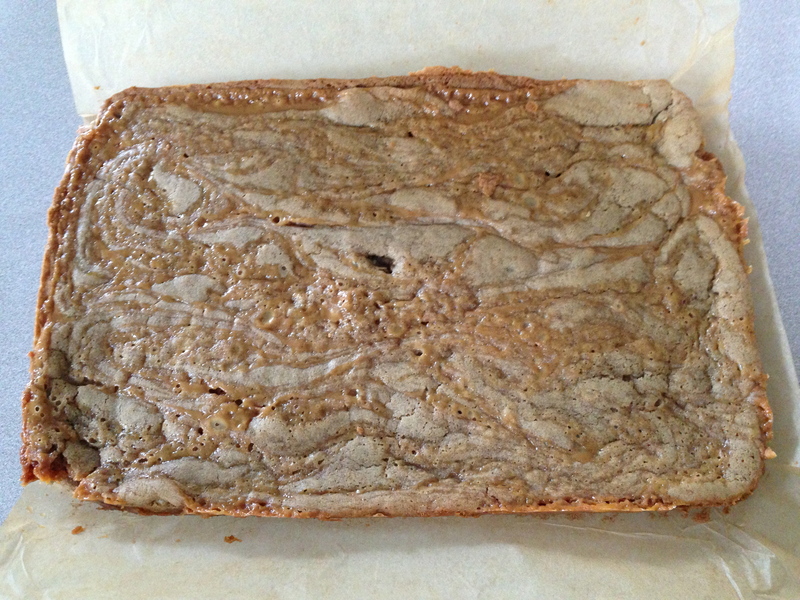 But the pecan I recently fell in love with…it’s true…I just can’t help myself. Please don’t judge, you can’t help who you love! Nice job, Nate! They look delicious!